Tottori Prefecture is one of the least populated prefectures in Japan. Surrounded by beautiful mountains and clear waters, it is a place that boasts an abundance of nature. Tottori City is the capital of Tottori Prefecture. Due to its roots as a castle town, there are many historic sites dedicated to the samurai clans in the area. Built in 1532 during the era of warring states, Tottori Castle was home to the powerful Ikeda clan. The castle was destroyed during the Meiji Period, leaving behind castle stone walls and a single wooden gate. The castle ruins overlook Jinpukaku (仁風閣), a European style building constructed in 1907 by the former Ikeda lords. The Jinpukaku mansion symbolized modernity and was the first residence to have electricity in Tottori. It is a national cultural property and has been used a temporary residence by the Crown Prince Yoshihito during the Meiji period. Now, you can explore the elegant interiors for the entry fee of 150 yen. The garden also served as the backdrop for the famous Rurouni Kenshin movie, which can be seen in the clip below. 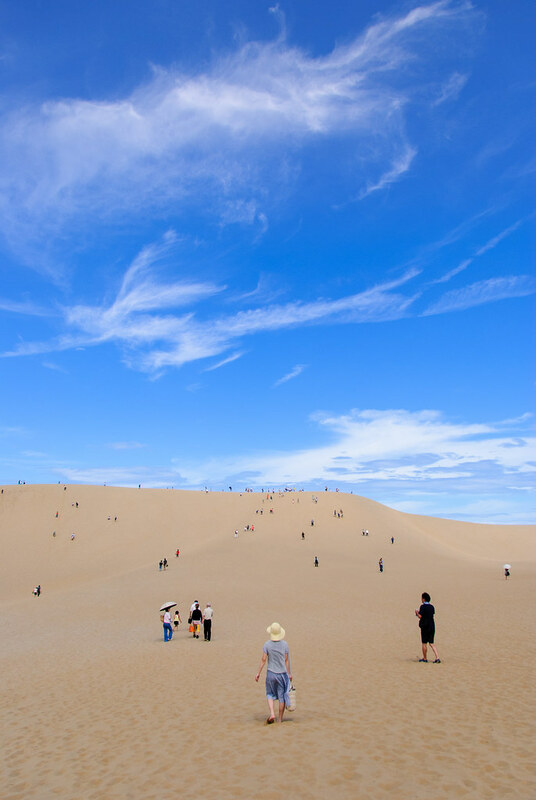 The sand dunes is a must-visit place if you are in Tottori. The sand dunes are accessible all seasons though activities such as camel riding, paragliding and sand surfing are subject to weather changes. 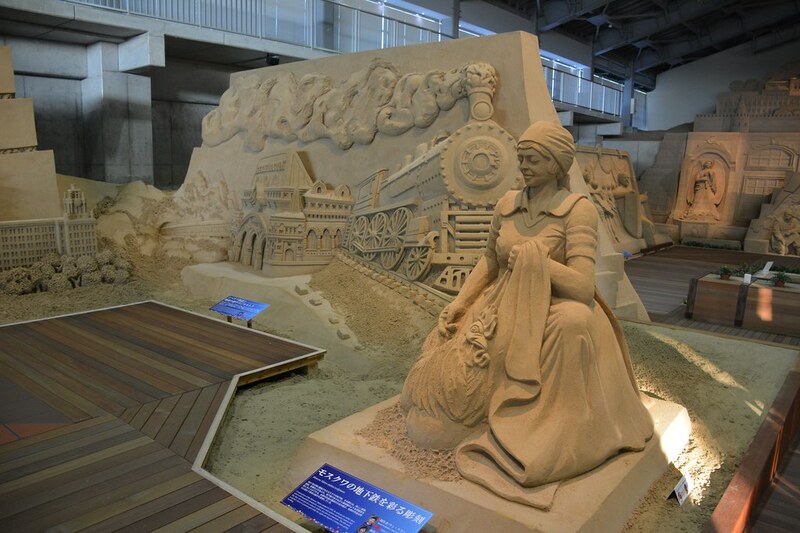 You can also visit the Sand Museum (砂の美術館) nearby which displays many magnificent sand castles and learn about this great heritage of Japan. Relax and enjoy the hot springs in Tottori! Soaking in hot springs is often recommended for relaxation and healing. The heat of the water may feel overwhelming for first timers (it can get very hot!) but the warmth of the water becomes welcoming after you get used to it. If you are uncomfortable with the idea of being stark naked, you can try out the foot baths for a relax soak to soothe your aching feet. While good hot springs and foot baths are scattered throughout the prefecture, Yonago City boasts some of the best onsen in the area. These “salt springs” are rumoured to promote longevity and has beautification effects. For example, you can book a luxurious stay at Kasuitei (華水亭), which has private open air baths that offer a fantastic view of the Sea of Japan. Enjoy local Sakaiminato seafood while staying in a traditional hotel with modern elements. Complete your vacation with a visit to this farm, where you can interact with many free-range animals! You can play with the ultra-friendly dogs, feed some cute bunnies, or even pet some kangaroos. There are also pony rides and mini pig races for the children. But the hottest stars are the capybaras, which can be seen enjoying a yuzu citrus bath. Kurayoshi is a town of historical significance. The rows of old storehouses built during the Edo and Meiji periods are preserved as important cultural monuments, adding an air of nostalgia distinctive to this place. Take a walk along the famed street known as Kurayoshi Shirakabe Dozogun (倉吉白壁土藏群), home to the white-walled (白壁) and red-tiled roof storehouses. Some of these storehouses are still open for business! Not all museums are about societies and people. Located in Kurayoshi Park Square, the Nijisseiki Pear Museum showcases the history and industry of pears and its varieties. You can also try some delicious pear ice cream at the 20th Century Pear Memorial Hall, Nashikkokan. August and September are the best months to eat these sweet and juicy pears. The pear is at its sweetest when it turns yellow, while yellow-green pears are crunchier. You can go pear-picking at farms during these months for the freshest and biggest of the lot, of which Sankouen (さんこうえん) is one such farm. Be sure to try their pear curry (二十世紀ー梨カレー) as well, made from Nijisseiki pears! You can buy them back as omiyage! 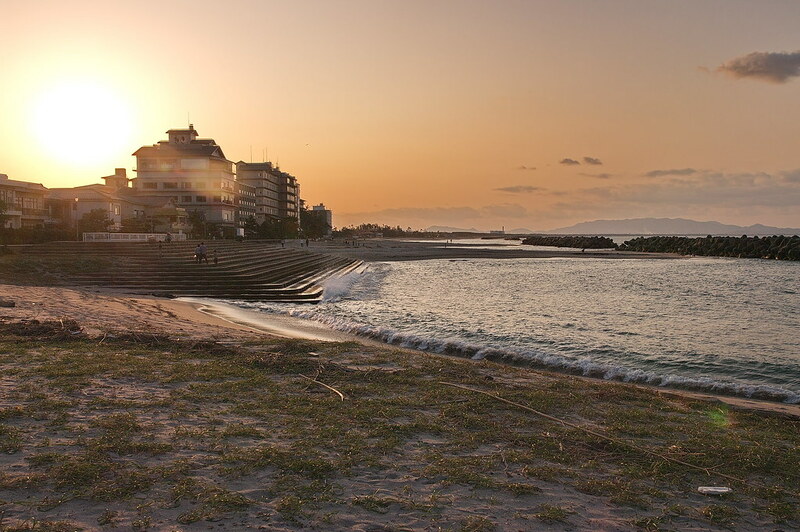 Sakaiminato is located near the sea, making it a natural port for international trade and delicious seafood. Large quantities of snow crabs and fish are harvested daily, making one think instantly of… glorious sashimi and seafood meals! Known as matsubagani, these prized snow crabs are specifically caught in the Tottori area. The female crabs are called oyagani (親ガニ). Locals believe that the best way to eat these crabs with sanbaizuzuke (三杯酢漬け), a dipping sauce made from vinegar, soy sauce and mirin. They are also very popular as hotpot ingredients during winter. 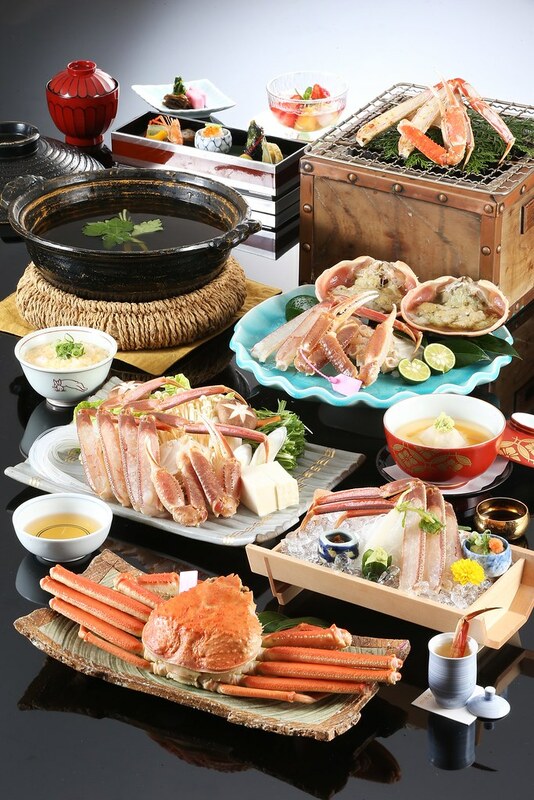 Other snow crab dishes you can also enjoy are shabu shabu, tempura or in miso soup! There is also a Kanikkokan (かにっこ館), a free museum on the lifestyle of resident species of crabs and its industry. There are many hands-on exhibits for children to enjoy learning about the life of crabs. When you are done with the Kanikkokan, head over to the Karoichi Market (賀露市場), a popular seafood market among locals which is located next door. Try the seafood at the restaurants there or buy fresh seafood home. 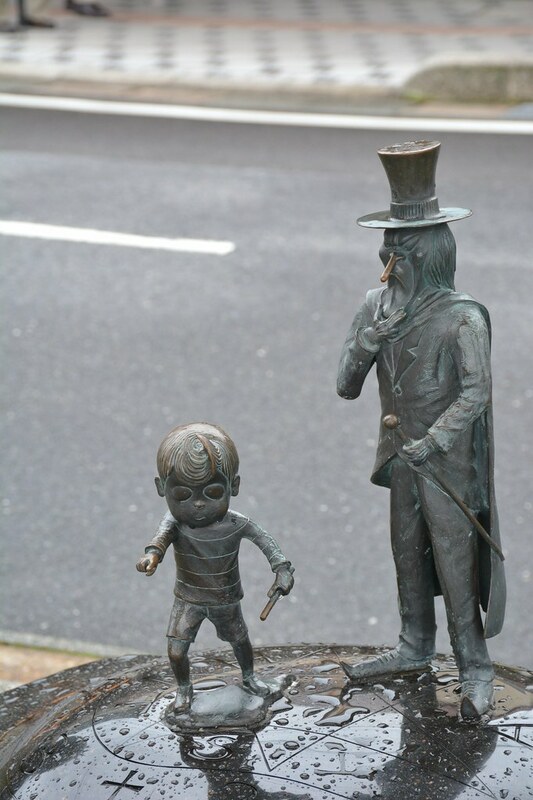 Sakaiminato is also the hometown for Shigeru Mizuki, the manga artist of Gegege no Kitaro (ゲゲゲの鬼太郎). The love for these characters are also displayed in detailed bronze statues and the manhole covers. At the museum, visitors are introduced to the world of yokai (妖怪, ghosts and the supernatural). 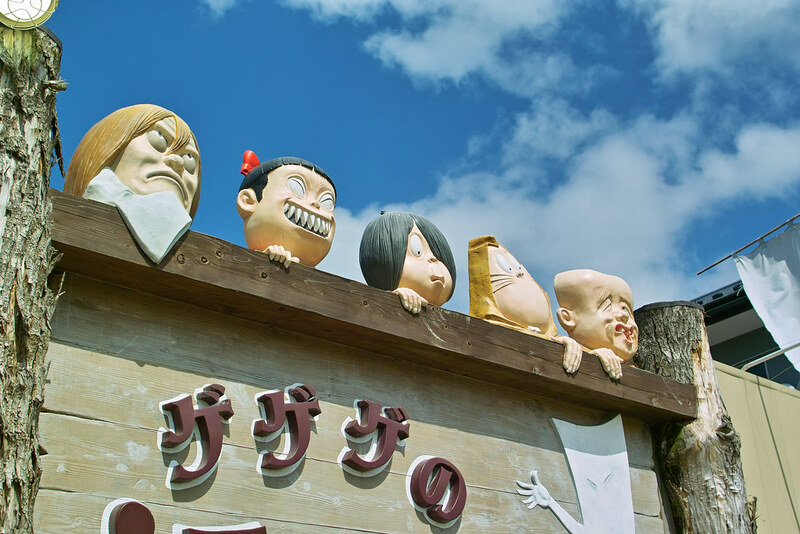 The museum was also created to commemorate Mizuki Shigeru’s achievements for popularizing Japanese folklore. You may also want to visit the Yokai Shrine (妖怪神社) located on the Mizuki Shigeru Road.